It has a pool , 10 min walk to beach and shops,cafe Very quiet complex. Great Location In central of Gold Coast - Miami Beach! 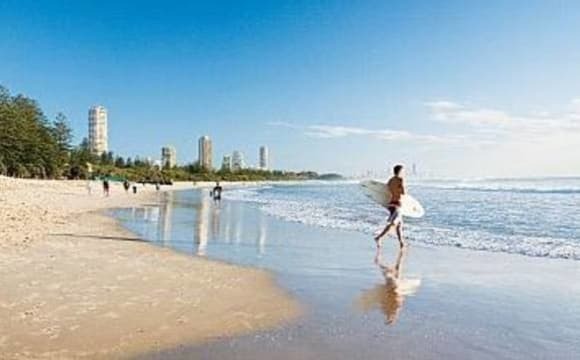 2 min walk to Bus stop, Beach, Park, North Burleigh life safe Surf Club, Miami Hotel., Restaurant, Cafe, Aldi &amp; Cole Shopping &amp; Miami One Shopping centre. Beachside resort style living - there are 2 big pools and many bbqs in the complex with a back gate that takes you straight to Miami Beach! Everyone is pretty chilled here. 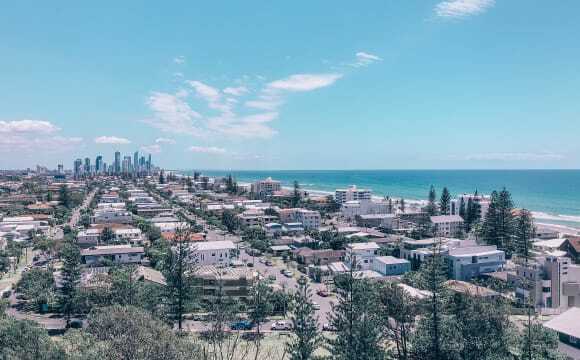 This apartment is a large 3 bedroom, 2 bathroom space with views of the ocean, city skyline and the Gold Coast Hinterland. The room available also provide views of the lagoon pool. The room comes with built-in wardrobes and ceiling fans. The apartment comes fully furnished and the room has a bed if you want to keep it or you can bring your own bed. 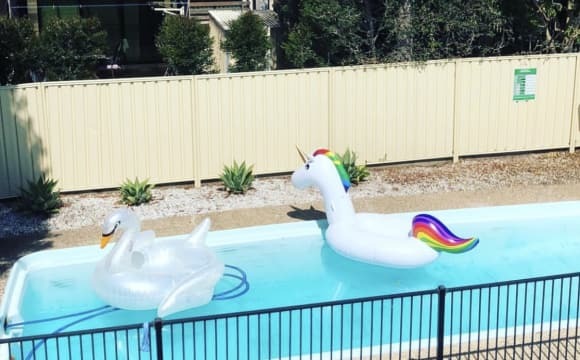 Looking for young professional housemates who are social, friendly, clean and respectful. The apartment is not a party house, but dinner with friends is always welcome. Magic Mountain has 3 swimming pools, including the impressive horizon pool which looks out over the city and beaches, as well as a BBQ setting and sauna as part of the lagoon pool area. Magic Mountain also has overnight security every night of the year and its landscaping is maintained each day of the week so its just like living in a resort! If you have any queries please pm me. Garden maintenance is included in the rent, so you won't have to worry about mowing the backyard etc. Newly renovated house. Close to Miami beach, Nobbys shops, breweries (lost palms and black hops), Miami Marketta, Golf club and Burleigh. Quiet street with lots of parking. Large covered outdoor entertaining deck. Large family kitchen and open dining / living room. Large in ground swimming pool with waterfall. Large backyard and front yard. Large Tool shed. 5 mins walk to the beach. 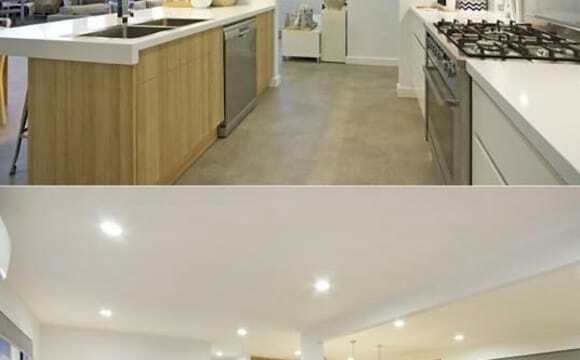 House has recently been renovated. The interior is pretty much finished - new timber floor, new kitchen, new laundry, new bathrooms, new ceiling fans, new carpet, fresh paint, downlights etc. Note that there are still a few things being finished including - the outside of the house is being painted, the outdoor kitchen and built in bbq is being installed and landscaping. Fire pit is being built for winter. Unlimited NBN internet available. Split bills - water, internet and electricity. Room for rent is a standard room with a built in wardrobe with mirror doors and heaps of storage. Room shares the main bathroom with 1 other. Bathroom has ceiling dropper rainfall shower head, vanity and toilet and freestanding bathtub. Everything is brand new. The 2 other rooms have en-suites. I have a spare queen bed frame and bed (has been used for the odd guest over the last few months). All other furniture / white goods / cutlery etc is in the house already. 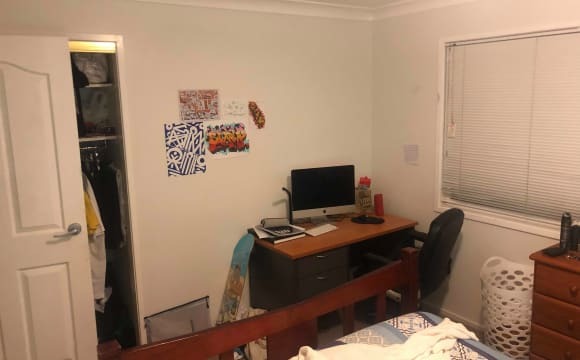 The room would suit a young male easy going who doesn’t mind changes around the house over the next few weeks. The house is a 2 minute walk to the beach, Miami marketta and Nobbys Beach. It is a 5 minute ride to Burleigh Heads also. 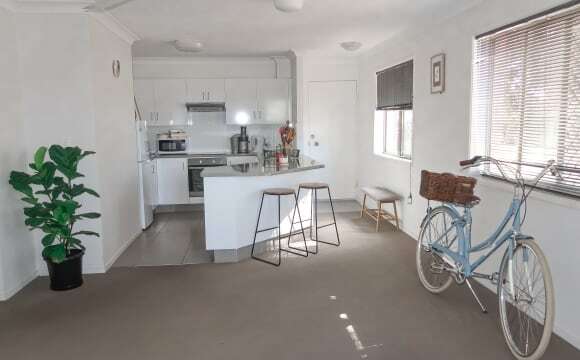 It has 1 car space, front yard, back yard, 3 bedrooms although, a couple shares 1 room and the last room is left spare for any friends visiting to stay in. All Bills included + Fully Furnished + Couples welcome! Included weekly professional apartment cleaning. Single: 270- 300 pw...(seasonal) Couple shared Bathroom: 315-350 pw (seasonal) Couple Ocean View En-suite: 370-400 pw Check availability Note: one apartment has a dog kept by the flatmate renting the en-suite. This is the perfect place for people who are looking a modern, beach style, clean apartment in a great location. Car spot inside the complex available, depending the seasonal price it is often free of charge. I have two apartments fully renovated with glorious panoramic views of the ocean, beach, Gold Coast city skyline and Hinterland. As part of Magic Mountain apartments complex, these flats have three large bedrooms, two bathrooms, a large 150m2 and a massive balcony for entertaining and/or relaxing. The positioning is second to none with trendy Nobby's Beach shopping precinct, bars, restaurants, shops, post office, medical center, pharmacy, 6 minutes walk to the beach down the hill. 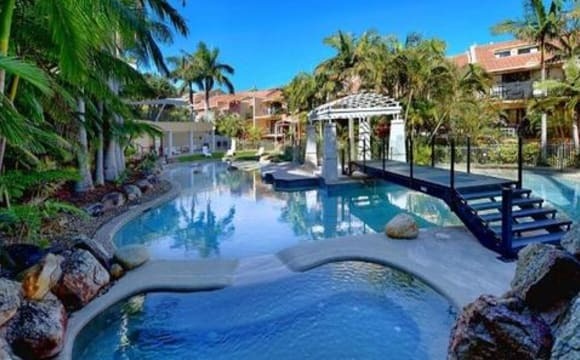 * 3 pools - infinity pool, lagoon pool and heated pool. * Spa &amp; Sauna * Gym - fully equipped with the latest gym equipment. * BBQ area * Smart TV with HDMI in all bedrooms * Brand New Kitchen * Bran New Appliances and furniture * Ceiling fans &amp; amp; + Air conditioned. * Main balcony with 170 degrees panoramic views of the ocean, sand, city skyline and hinterland. * Second balcony - overlooking the pool. * 100GB WIFI and all other bills included. * 2 x car parks available inside the building and extra on-street parking. * New washing machine and drier. * One large locked storage area for surfboards and gear available * New Floor and fresh painted walls * New beds being ordered * General House rules will be provided, mostly regarding the the safe and respect of everyone sharing. * NO-Smoking apartment * 2 weeks Bond + 1 week in advance rent required * RTA contract, room report and Bond forms provided. Central location: Everything you need is within walking distance, including the beach (5min walk), the best cafes (BSKT Cafe!! Little Beans) and bars/restaurants (Mexicali, Hellenika, Nobby's Arc, Cambus Wallce, and more), and Bond University is just 5km down the road if you are a student. Nobby Beach Resteurants, shops and bars right under your footsteps. The flat is at Grande Florida Resort in Miami. 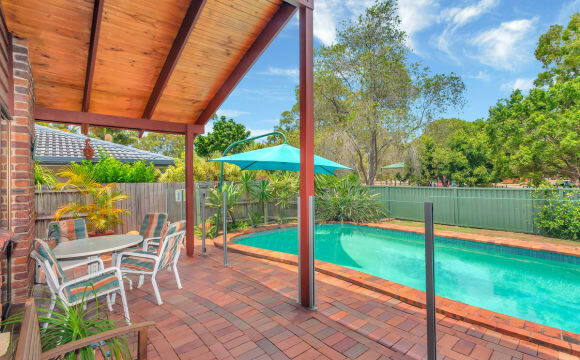 Close to the beach (direct access), public transport and Coles. The resort has 2 pools, sauna and bbq areas. The place is amazing! You just will share the bathroom with your roommate. The rent is $165 with bills and wifi. Magic Mountain resort offers 3 swimming pools, including infinity pool overlooking Coast line. This resort offers a gym, Spa, sauna and BBQ area. Walking distance to the beach. Nobby's cafes and restaurants on door step. Public transport is in easy access. Unit available now. I have taken the lease on the unit which is close to the beach in Miami and I move in around the 18 April. 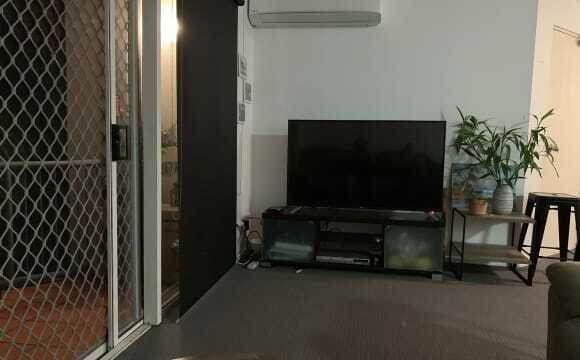 The unit is nice and close to the beach, Miami One Shopping Centre and Nobbys Beach cafes and bars, Burleigh beach isn’t too far away either. The rent includes unlimited WiFi and I have Netflix but we will go halves in the electricity bill every quarter. The room is unfurnished. You will have your own bathroom which is pictured in the photos (this also homes the washing machine and dryer so I will requre access to this bathroom purely to do laundry) The furniture in the pictures isn’t mine as I’ve not moved in yet but I’m happy to meet with you if your interested and I can arrange with the agent for you to view the room. No additional car park is available so parking for you would be on the street or in one of the visitors car park if and when available. I’m looking for someone employed full time who pays rent and bills on time and likes living in a chilled household, is clean and respectful. No smokers thank you. I look forward to hearing from you. This property is a holiday type living style. It has two beautiful pools with BBQ areas, sauna and game room. The apartment has 2 bedrooms. The available bedroom has two single beds (which can be pushed together to make into a king bed) with a large balcony attached. It's on the ground floor conveniently next to the pool. The living room has air conditioning and a large balcony dining area that overlooks the pool. Unlimited WiFi is included and it’s a 5 min walk to Miami beach. Free street parking available. 5 Min walk to Miami One and Aldi. Bus stop even closer. House rules are basic: Keep it clean, respect each other, clean after yourself. The room is $290 per week not including bills. Two weeks bond, one week rent. Email or text me if you're interested. We look forward to hearing from you! Fully Furnished Bedroom for rent at Magic Mountain Resort. 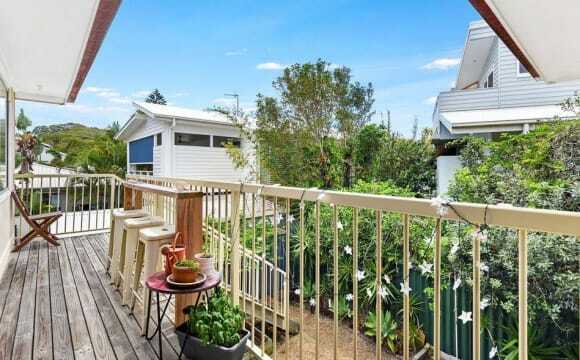 Minutes walking distance to Nobbys Beach Shops, Bars, Cafes, Restaurants and public transport. 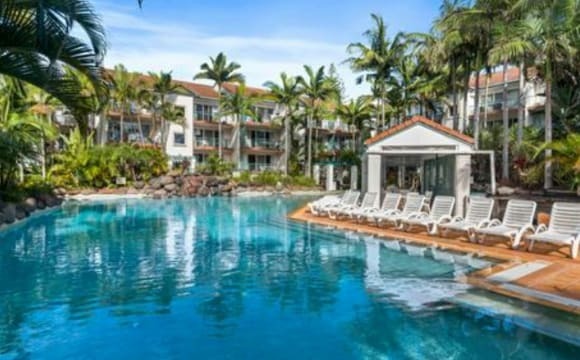 The beach is just 3 streets away, there is 3 pools including an infinity pool overlooking the beach and surfers paradise, There’s also a gym, sauna and spa in the complex. Rent is total $400 a week if renting as a couple, power and water separate and will be split evenly, Internet included! Parking is on street. 3 bedroom house with a pool. Bills included. Living with 2 super easy going people! On the corner of Mermaid waters and Miami. Within walking distance to Miami Marketta and the cafes at Nobby’s. The house is fully furnished other than the bedroom but I can provide a bed if needed. Lots of natural light. There's also a double garage to store stuff! Not a party house. A few drinks on the weekends etc is fine but we’re generally pretty quiet especially during the week. In saying that we don’t mind if you have people over every now and again. Perfect place to have bbqs and a few drinks by the pool. Sorry no pets as I already have a cat and no more pets are allowed on the property as the owners won’t approve them. The unit has a relaxed beachy vibe to it. It is neat and clean, and only 200m from Miami Beach. Looking for a housemate, preferably female to share modern, spacious, 2 story, 3 bedroom fully furnished upmarket townhouse with one other. 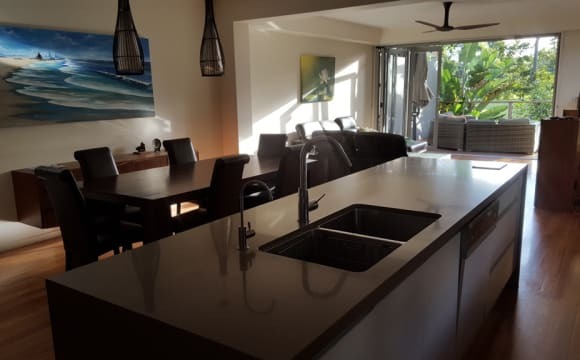 Great location only 400m from the beach and just around the corner from Miami One Shopping Centre with Nobby Beach and Burleigh Heads also close by. The house has two living areas, downstairs opens to a deck at the rear overlooking a park, ideal for BBQs or just relaxing back enjoying the view and peaceful surrounds, the upstairs living room doubles as a Hm Theatre room complete with projector and large screen. Your room is light and airy with plenty of natural light (as is the rest of the house) and has large built-ins with full length mirrors and you will have your own bathroom that has a separate bath and shower. The room is currently unfurnished but if you require furniture it can be sorted. There are ceiling fans and ducted reverse cycle A/C throughout.